"The students are so alive and engaged in my flipped class (nonlinear dynamics & chaos)." "My other class this term is not flipped. Feels flat, almost inhumane..."
...lastly, a book-note: usually I just recommend popular math books here, but once-in-awhile come across a book I like so much or believe so useful I want to be sure readers are aware of it. Recently out, "Pogue's Basics," is one such volume. David Pogue has long been a favorite tech writer and this new volume of helpful hints -- what he terms "essential tips and shortcuts that no one bothers to tell you" -- is just a great little compilation of handy computer tips. It covers both Macs and Windows (not other systems directly), and while computer pros may not learn too much from it, I imagine most average computer users, and certainly newbies, will gain plenty of pointers. I turned down page corners, as I quickly read through it, to mark all the tips I wanted to go back and try out, and ended up with around 40 dog-eared corners. Keith sees "no evidence to suggest that such [machine-thinking] may even be possible," noting that just "because something waddles like a duck and quacks, does not make it a duck." Machines can make decisions, but that doesn't mean they think. But he does worry about "the increasing degree to which we are giving up aspects of our lives to machines that decide, often much more effectively and reliably than people can, but very definitely do not think." A number of writers make the same point that "thinking machines" already exist on Earth: they're called "humans" (although I think this merely highlights the semantic variability in how people interpret the word "machine"). Can't help but notice that Ray Kurzweil isn't included among the respondents... not sure which, if any, of the responders are associated with him or his work??? Seems roughly like an even split between those who believe thinking machines are impossible or at least unlikely, and those who think them possible, if not inevitable (but I haven't done a careful tally, so could be wrong). More encouraging, is what seemed a predominant view, that even if thinking machines develop they will not be prone to malevolence, and will either remain under human control, or have ethics built in. I presume these essays (per usual) will soon be available in paperback book form, but haven't seen the volume yet. ...definitely worth a listen if you've never heard it, or worthy of a second listen if you have! (covers some cognitive psychology, Benford's Law, Erdös numbers, and Steven Strogatz's "Calculus of Friendship"). Lastly, a bit unusual... but a shoutout or tip-of-the-hat to Ed Frenkel who this last week (in the wake of the Charlie Hebdo killings) conducted an amazing Twitter dialogue with at least 2 Islamic adherents who I believe were trying to account for what gives rise to such violence (I hope that's a fair-enough statement of what their goal was?). I've never much believed that intelligent, meaningful discussion (let alone debate), can even take place on Twitter (without quickly degenerating), but I really respect Dr. Frenkel's patient, passionate, resolute attempt to do so. Despite some heated moments, both sides I think ultimately maintained decorum while expressing very different views, through dozens of tweets back-and-forth. 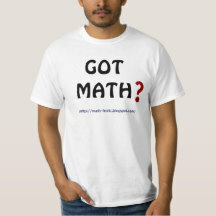 Mathematicians are NOT all about equations and formulas only! The last 15 minutes-or-so (it's a 38-min. talk) are among the 15 most evocative minutes you may ever encounter from a professional mathematician -- try to find time for this video if you've not already viewed it. 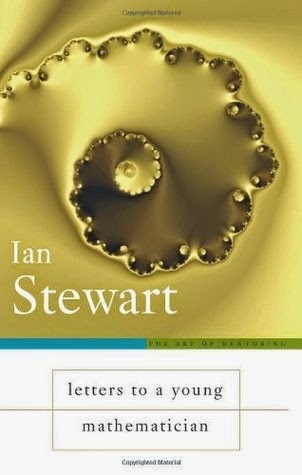 Several years ago I skimmed through Ian Stewart's little book, "Letters To A Young Mathematician," and it didn't register much with me, not really being a fan of "Letters to..." sorts of books. But I just re-read it, with the benefit of a few more years immersion in mathematical debates, and especially Keith Devlin's notion of "mathematical thinking," and suddenly enjoyed it immensely! Indeed, I now wonder if any of Keith's thinking was influenced by Stewart's ideas, or was the influence in the opposite direction(? ), from Devlin to Stewart, so similar are many of the viewpoints expressed (Stewart's discussion of "proofs" especially mirrors a recent view voiced by Keith). I won't review this instructive (and surprisingly rich) little volume, since it's from 2006, but will note that I think every prospective math major should ponder it before they get too far along their path. In a quick 200 pages it covers a lot of backdrop to a mathematics career. And even though it was written almost a decade ago, it includes discussion that is pertinent to the ongoing debates in math education right now. It also contains more thoughtful passages I'll be considering for "Sunday Reflections" than almost any other book on my shelf! I especially like the whole second half of the volume. Lest it not be clear to people, I should mention that these "letters" are fictitious missives written to a fictitious niece; which gives Stewart a lot of freedom to say what he wants in the way he wants to say it. In fact, Stewart sees the book as a sort of update to G.H. Hardy's "A Mathematician's Apology." As one of the reviewers sums up, "'Letters to a Young Mathematician' succeeds well in opening a door into the world of mathematics and enticing the reader inside." Ian Stewart is yet another Brit who has a knack for communicating mathematics to a public that is often resistant to it. I've enjoyed several of his past works. And funny how time changes perspectives... as this particular volume springs from being completely off my radar to now being one of my favorites from him -- at the risk of sounding like a broken record, I'll credit Keith Devlin for that, since reading him made me so much more receptive to Stewart's thoughts here. "Perhaps we have created a geometer God in our own image, but we have done it by exploiting the basic simplicities that nature supplied when our brains were evolving. Only a mathematical universe can develop brains that do mathematics. Only a geometer God can create a mind that has the capacity to delude itself that a geometer God exists. "In that sense, God is a mathematician; and She's a lot better at it than we are. Every so often, She lets us peek over her shoulder." In the end he says that "revolutionizing K-12 education within a decade requires a transformative, national, public-private initiative, perhaps reminiscent of, but much less expensive than, the NASA Apollo Project to put a man on the Moon"! 18) Lastly, just this morning I've posted over at Math-Frolic James Tanton's first video offering in support of Common Core. Must-viewing for all involved in that debate. Wasn't planning any sort of (2014) year-end review post, but have read so many from other blogs got inspired to do one (same thing happened last year). 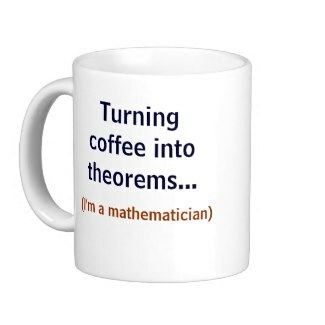 Way too many posts at Math-Frolic though to sort through, so initially picked out 7 from here (MathTango had fewer than 30 postings for the year, if "Potpourri" posts aren't included), and then I've added a few "Sunday Reflections" from Math-Frolic at the end. Hope you'll peruse/enjoy some of these, if you missed them.